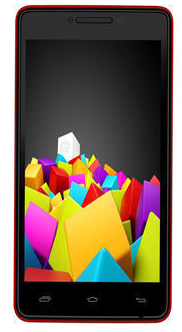 Recently Micromax Canvas Fun A76(Quick Review)appeared online on ecommerce websites and now another phone with similar specifications in the Micromax Fun Series, Micromax Canvas Fun A74, is available for purchase on Infibeam at Rs. 7,749. This phone is a budget android device which sports moderate specifications. This phone runs on Android 4.2 Jelly bean like most budget android devices launched in this month. 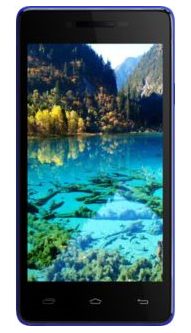 Micromax Canvas Fun A74 sports a 4.5 Inch display with 854 x480 FWVGA resolution thus giving you a pixel density of 218 ppi which is above average considering budget android phones. This phone is powered by a dual core processor clocked at a frequency of 1.3 GHz and this processor is backed by a RAM capacity of 512 MB which is standard in Budget android devices. The Internal storage is also pretty standard at 4 GB and can be extended to 32 GB using a microSD card. The chipset specifications are similar to Micromax Canvas Fun A76. This device features a 5 MP primary camera with 4X zoom and LED flash for low light photography. A front VGA camera is also present for video calling. The camera features are again pretty standard. Phones like Lava iris 454 will provide you with a 8 MP camera in the same price range. The battery capacity is 1500 mAh which might not be able to carry you through the day with ease. Micromax Canvas Fun A76 which was launched at 8,499 INR comes with a bigger 2000 mAh battery and a bigger 5 inch display. Connectivity features include 3G, Wi-Fi, 2G, Bluetooth and GPS. You should be specific on what you are on a blog … it does not look like you know anything about any phone , just copy paste the specifications from other site and some “ENGLISH” words. yes it has 3G connectivity support.